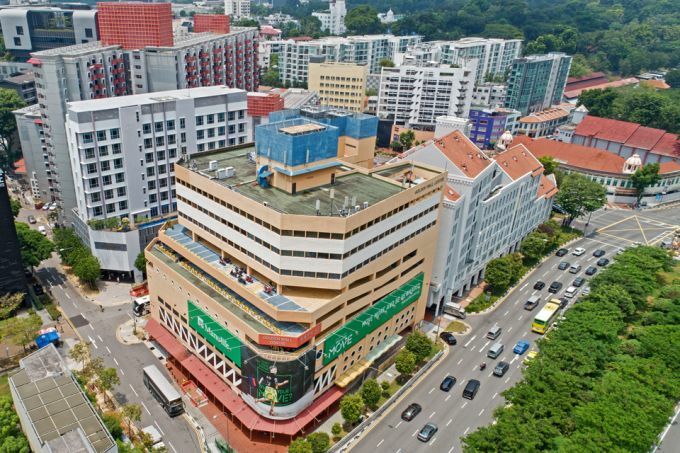 Edmund Tie & Company (ET&Co), the sole marketing agent for the collective sale of a prime freehold commercial site, Golden Wall Centre, located at 89 Short Street, on Oct 11 said that it was pleased to offer the freehold commercial property for sale by tender. The prime freehold commercial site is ideal for redevelopment to corporate headquarters or hotel said ET&Co. The prime freehold commercial site has a land area of approximately 2,251.9 square metres (sq m) or 24,239 square feet (sq ft) and is zoned for Commercial use under Master Plan 2014. Subject to authorities’ approval, the site can be redeveloped up to its existing gross floor area of 11,007.929 sq m, approximately 118,488 sq ft, exceeding the permissible plot ratio of 4.2 as indicated in Master Plan 2014. Golden Wall Centre enjoys an excellent location at the fringe of the city centre. 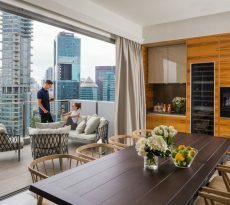 It is conveniently located at the doorstep of Rochor MRT station on the Downtown Line (DTL) and within 400 metres to Little India MRT interchange, connecting the Downtown and North East Lines (NEL). 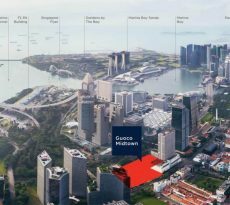 The prime freehold commercial site occupies a prominent corner plot with a 180-metre triple frontage boasting high visibility along the main thoroughfare of Rochor Canal Road, as well as Short Street and Albert Street. Located within the Beach Road/Ophir-Rochor Corridor which is envisioned to be a vibrant mixed-use cluster under Master Plan 2014, Golden Wall Centre stands to benefit from the ongoing rejuvenation and transformation of the area. Such transformations can be exemplified with new developments such as DUO and Tekka Place – a retail mall with 320 serviced residences directly opposite the property. 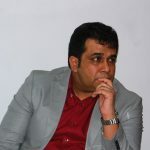 Senior director of investment advisory Swee Shou Fern commented: “Golden Wall Centre presents a unique and exceptional opportunity to develop a landmark commercial project. 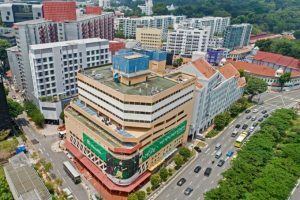 It can either be developed into corporate headquarters with potential naming and signage rights for the building, or for strata sale in a market where freehold strata retail and office properties next to MRT stations are rarely available for sale. The reserve price for the prime freehold commercial site is $260 million, which reflects $2,194 per square foot per plot ratio (psf ppr). The tender exercise will close on Friday, 23 November 2018 at 3 pm. 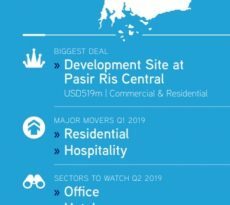 Paul Ho, the chief mortgage consultant at iCompareLoan said: “Properties such as the prime freehold commercial site which is up for sale may be bought under personal name, but total debt servicing Total Debt Servicing Ratio (TDSR) will apply on the individual’s income on such purchases. To buy a commercial or industrial property under company name, total debt servicing ratio TDSR also applies on the individual director’s income if the company is an investment holding company or an operating company that is loss-making or does not have sufficient cash flow to servicing the repayment. “To buy a commercial or Industrial property under company name where the company is well established with an existing operating business with strong financials, TDSR may be waived on the individual. However director is usually required to become personal guarantors of the loan the company undertakes. Hence this may affect the director’s other purchases, such as for buying a residential property, due to the loading from the TDSR for guaranteeing a loan. Lowering of Unsecured Loan Limit – How does it affect you?